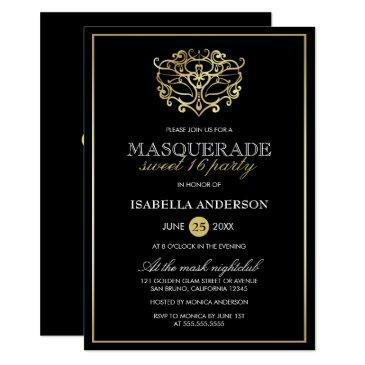 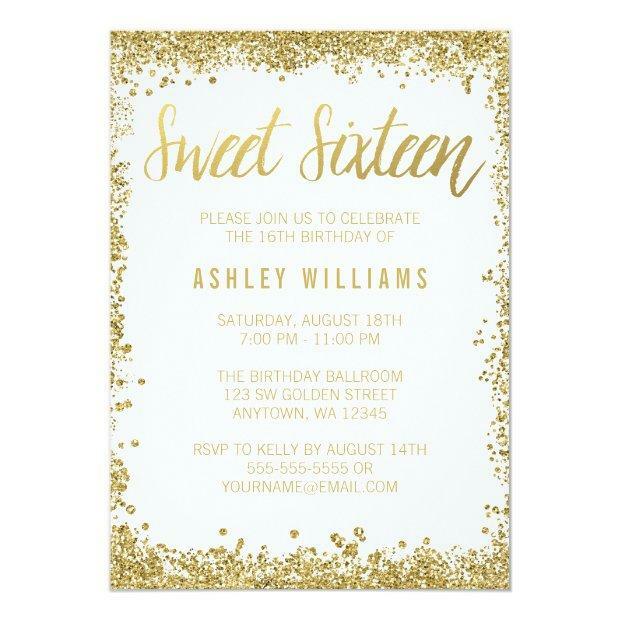 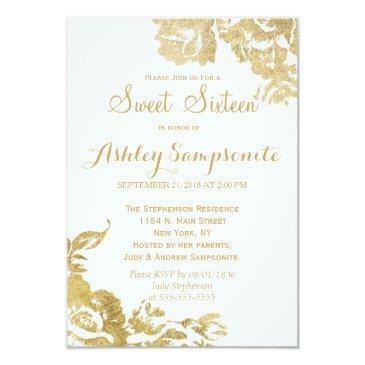 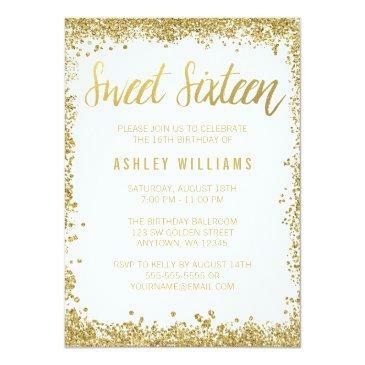 Modern white and gold faux glitter sweet 16 invitations. 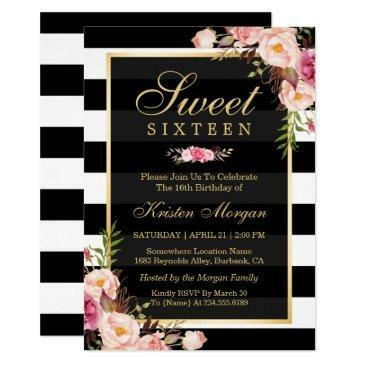 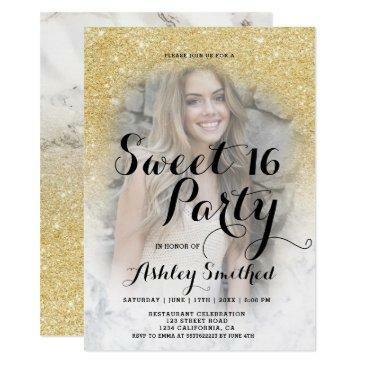 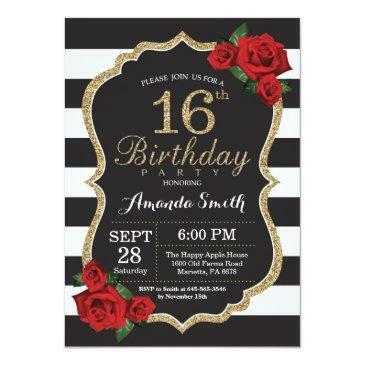 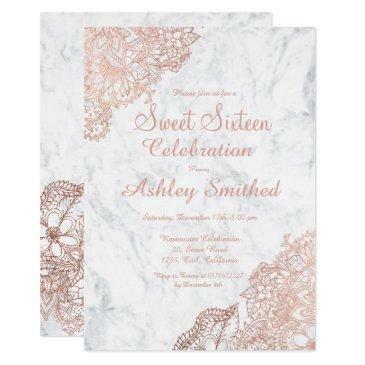 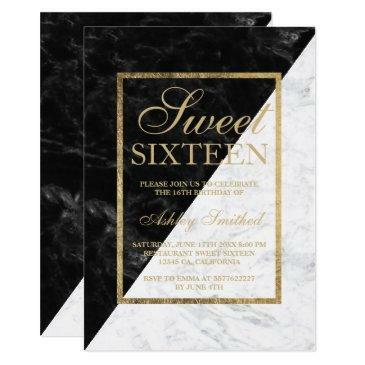 These trendy sweet sixteen invites are easy to personalize for your party. 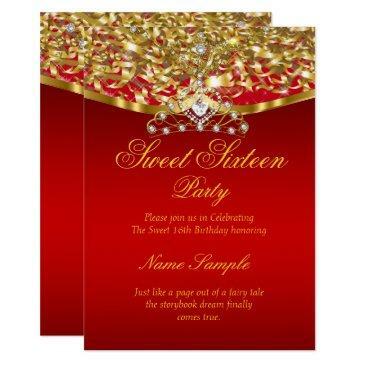  Designs are flat printed illustrations/graphics - NOT ACTUAL GOLD.